Favre-Leuba was founded in 1737, but like many other Swiss watchmakers it fell on hard times during the Quartz Crisis of the 1970s. Now the brand is firmly back in action, having been taken over by Tata, the Indian conglomerate that also owns carmakers Jaguar and Land Rover, in part due to Favre-Leuba being one of the biggest brands on the subcontinent during the colonial era. 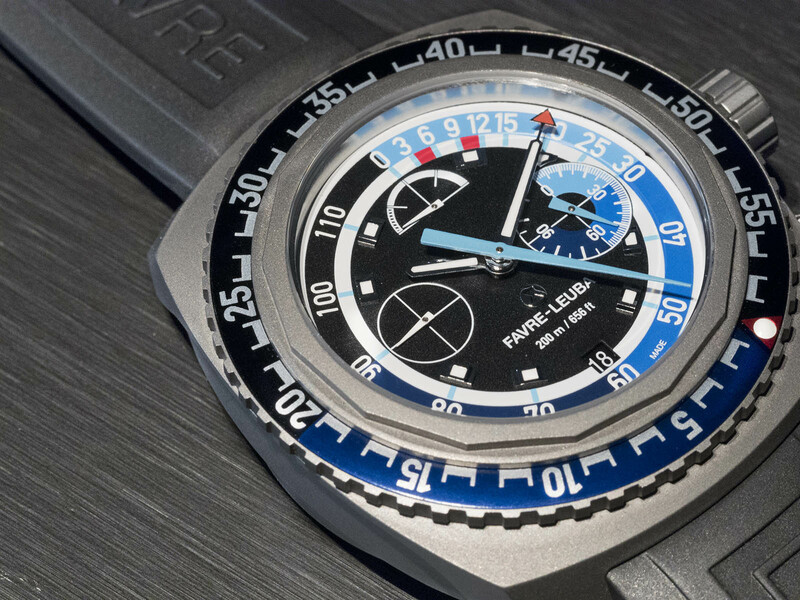 The mid 20th century saw Favre Leuba make some of its most significant technical achievements, including the Bivouac, the world’s first altimeter-equipped wristwatch. Consequently, the watches from that era are the inspiration for Favre-Leuba’s new product line. 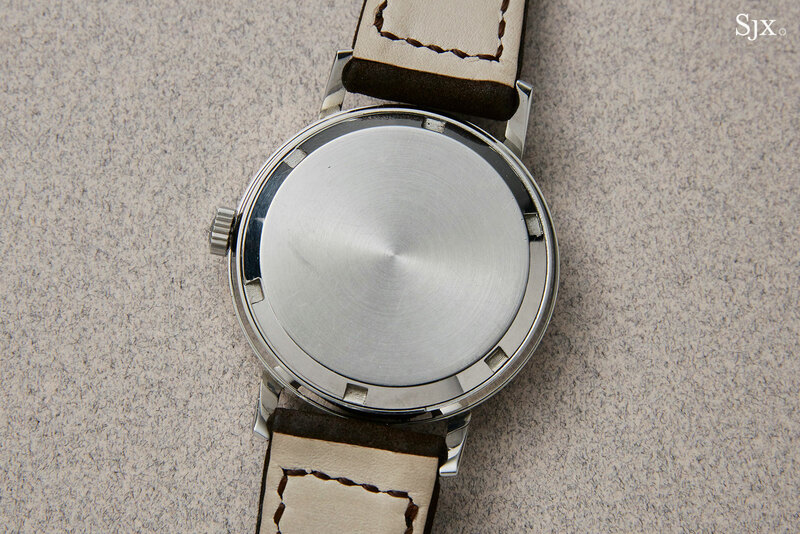 In 1968, Favre-Leuba introduced the Bathy, the first wristwatch to be equipped with a mechanical depth gauge, able to indicate the time spent underwater, and also depths up to 50m – no easy feat since a depth gauge requires water to enter the case, running contrary to the prevailing wisdom in watch construction. In homage to the Bathy, Favre-Leuba has introduced the Raider Bathy 120 MemoDepth, an unabashed, over-engineered tribute to the original. It joins only a handful of watches, most notably from IWC, Blancpain and Jaeger-LeCoultre, which have a mechanical depth gauge. Rated to 200m, the new Bathy has a sandblasted titanium case which makes it surprisingly light despite its massive proportions – 48mm in diameter and 19mm high. It retains the same barrel-shaped form of the original but with more angular, aggressive lines. 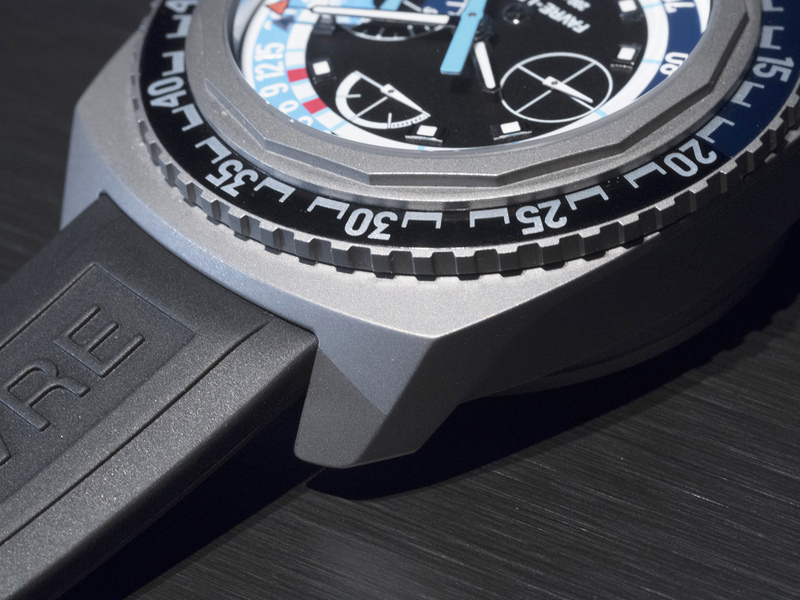 It features a black unidirectional bezel fitting with an anodised aluminium insert that has the first 20 minutes demarcated in blue for timing decompression stops. 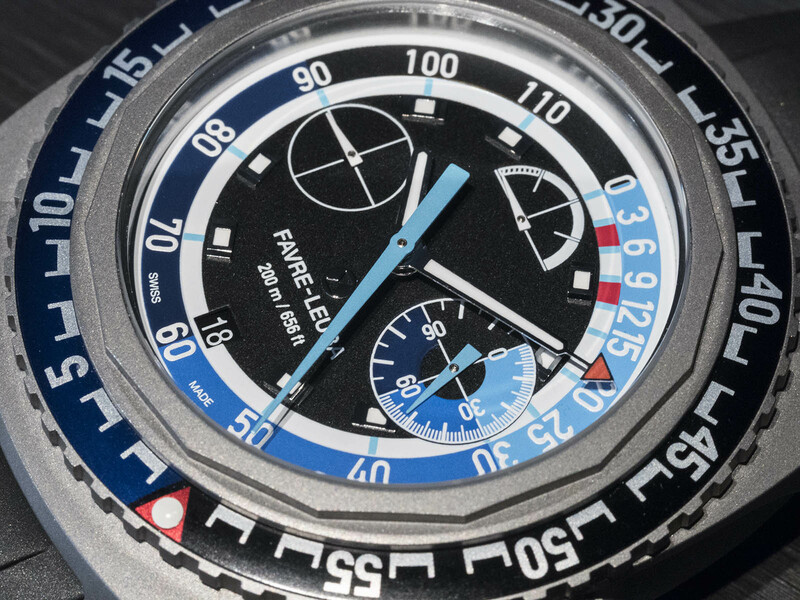 The dial of the Raider Bathy 120 MemoDepth is predominantly black with depth indications in various shades of blue. The blue central hand indicates the current depth on the outer scale from zero to 120m, more than twice that of the original Bathy of 1968. Being more frequently visited depths, the first 30 metres of the scale is more finely calibrated, graduated in intervals of 3m, and then 5m, compared to 10m intervals beyond depths of 30m. The scale also features red markers at 5m and 10m, points at which decompression stops may be necessary. The Bathy has a depth gauge integrated into the case back that relies on a traditional membrane system. 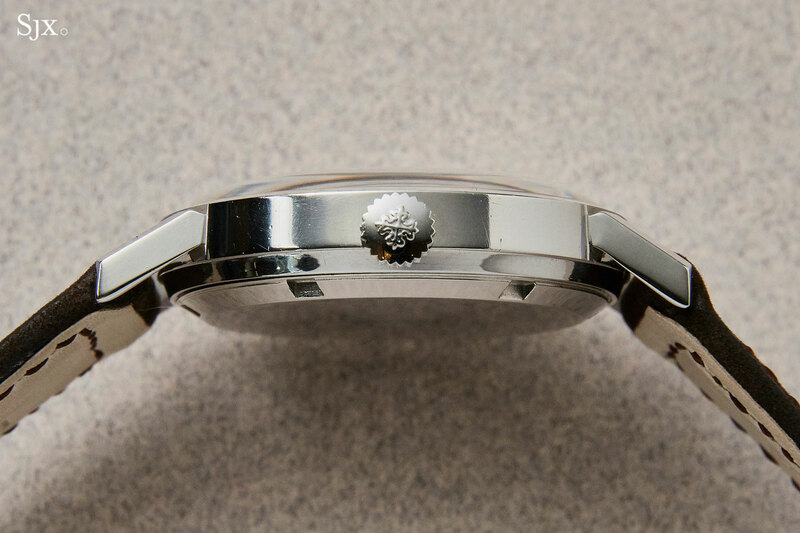 It features apertures on the back to allow water into a tiny chamber that is hermetically separated from the movement. 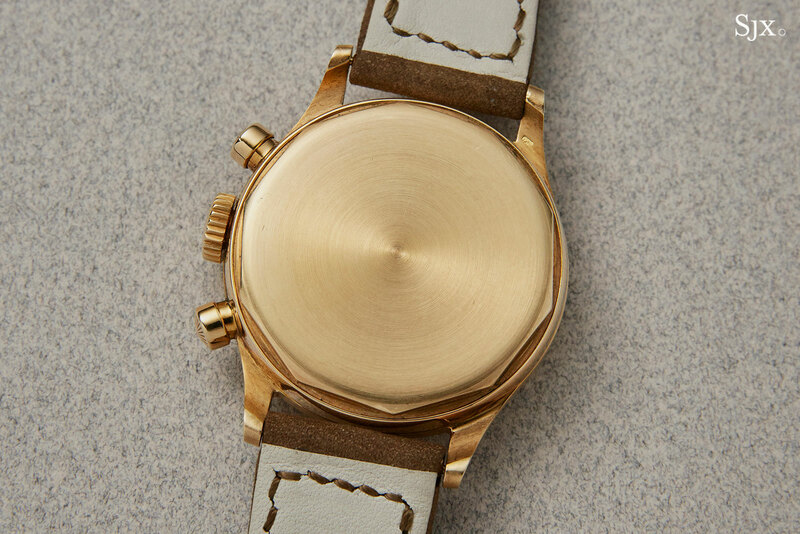 The membrane compresses as pressure increases, driving the depth gauge on the dial of the watch. 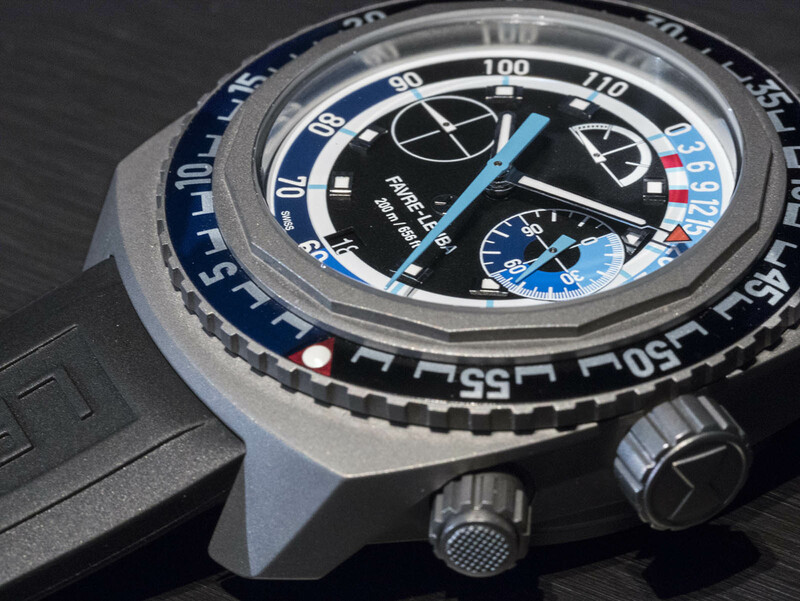 While the depth gauge goes to 120m, the watch itself is rated to 200m meaning a diver could, theoretically, go well past the maximum of the depth gauge. 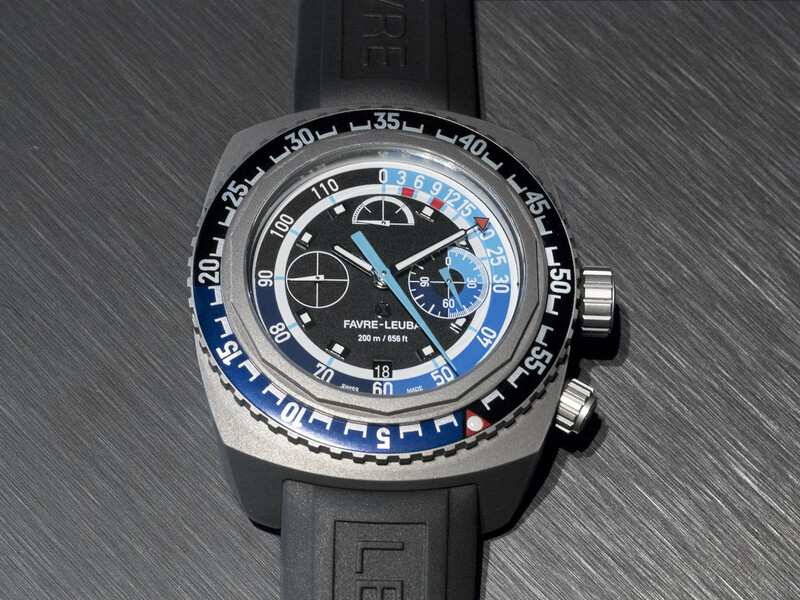 Thanks to a built-in mechanical limiter, the watch can go well beyond 120m with no ill effect as the limiter stops the depth gauge and prevents the membrane from being damaged. 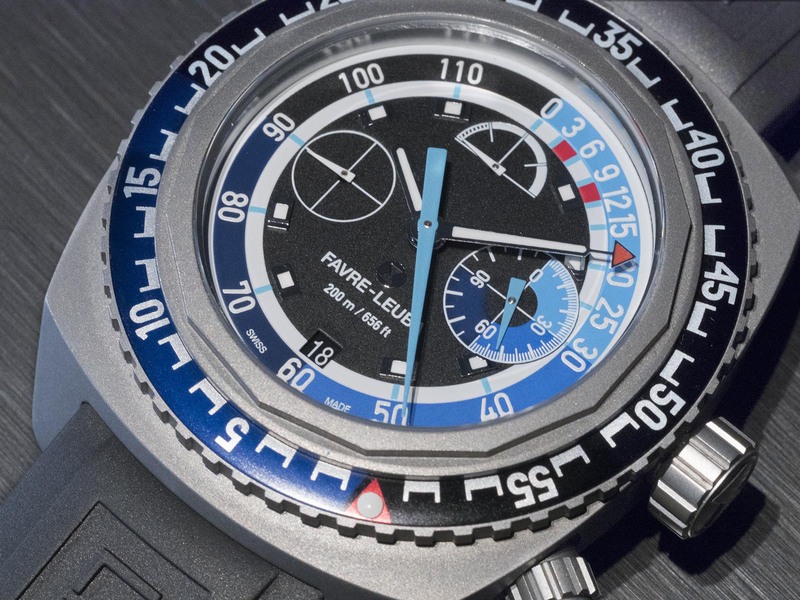 But the most unique feature of the Bathy, and one that really sets it apart from other depth gauge dive watches, is the mechanical depth memory which records the maximum depth reached during a dive – hence the “MemoDepth” name. Capable of recording a single dive, it takes the form of a counter (graduated from zero to 120m) at three o’clock and can be reset via a pusher at four. 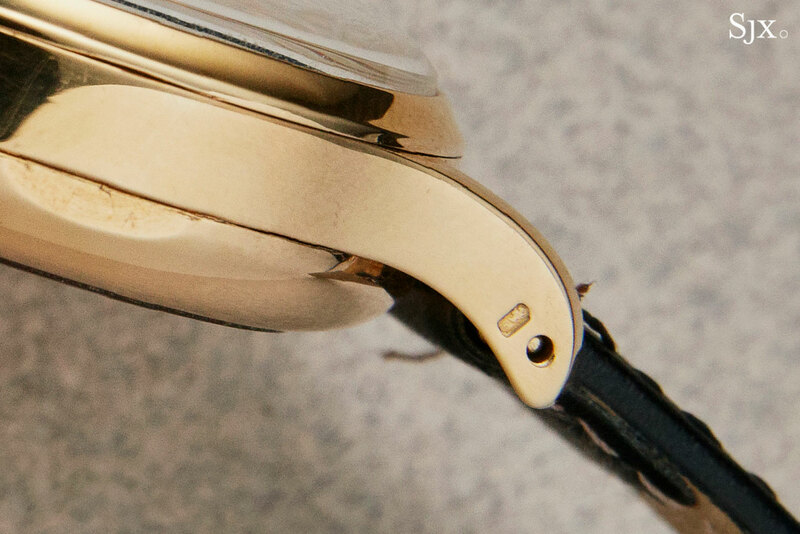 Powering the watch is the hand-wound cal. FL321, based on the Eterna cal. 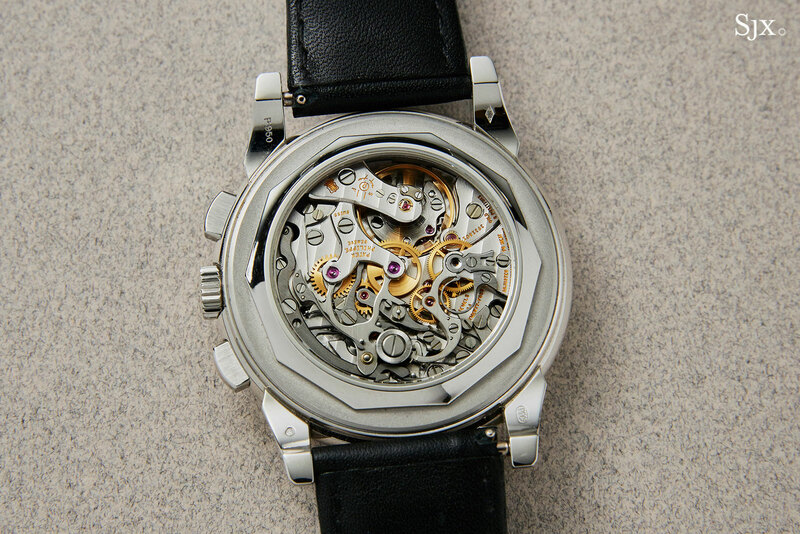 39, the versatile workhorse movement developed to accommodate complications. 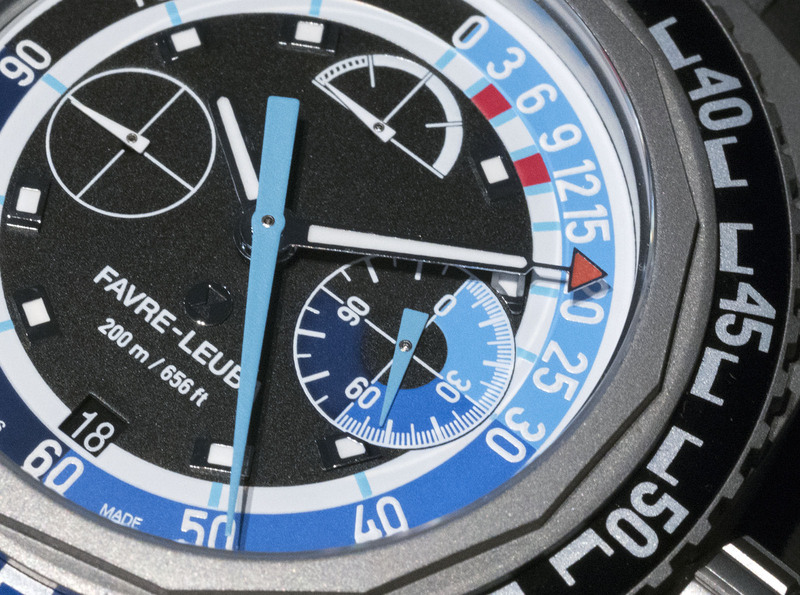 The depth gauge module, however, was developed in-house, according to Favre-Leuba. 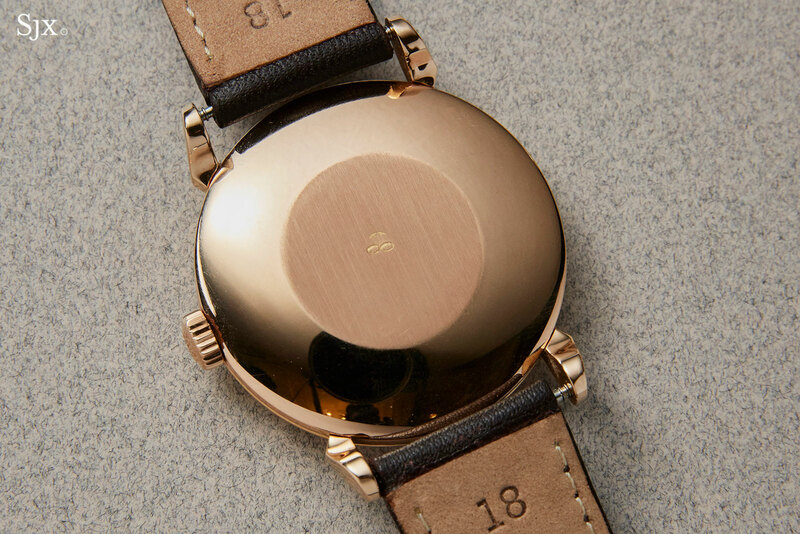 The movement runs at 4Hz and has a 65-hour power reserve, with the power reserve indicator displayed at 12 o’clock. 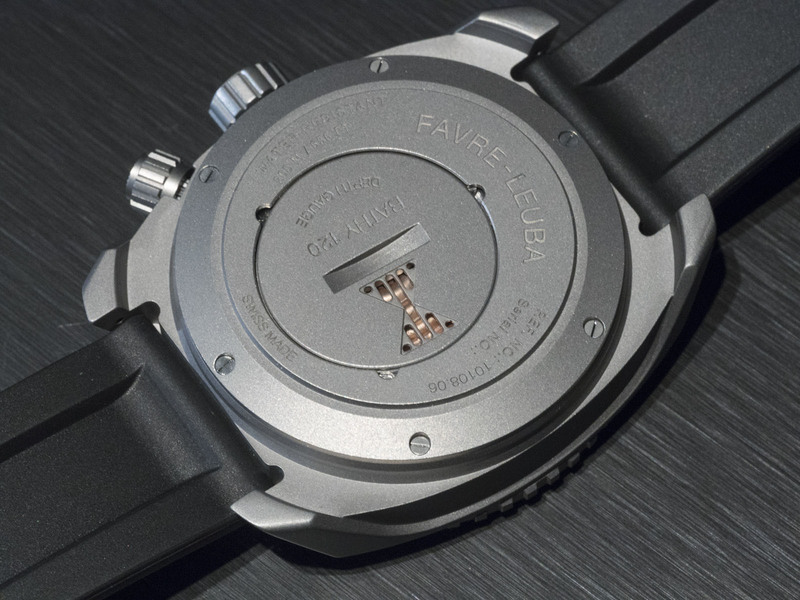 The Favre-Leuba Raider Bathy 120 MemoDepth is priced at SFr8500. 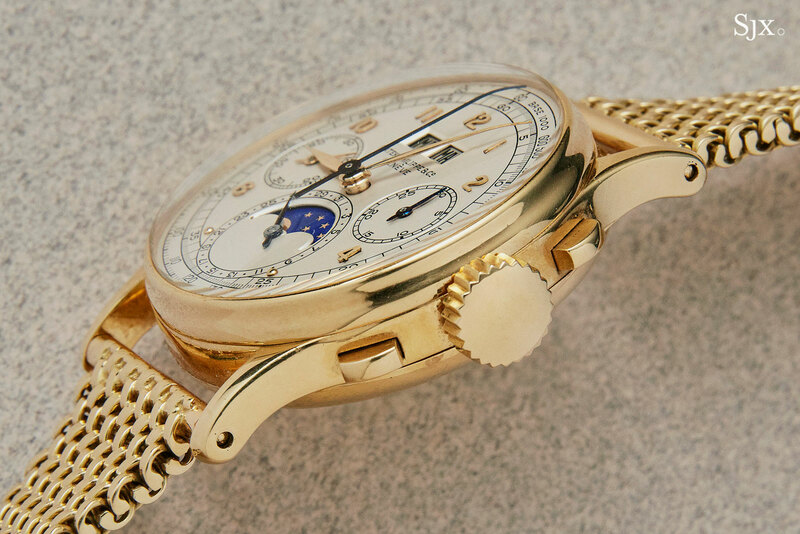 Phillips’ The Hong Kong Watch Auction: Six (HKWA6) is the first sale put together by its recently installed chief in the region, Thomas Perazzi. The Italian’s inaugural auction sets itself apart from typical Hong Kong auctions that tend to emphasise modern watches. 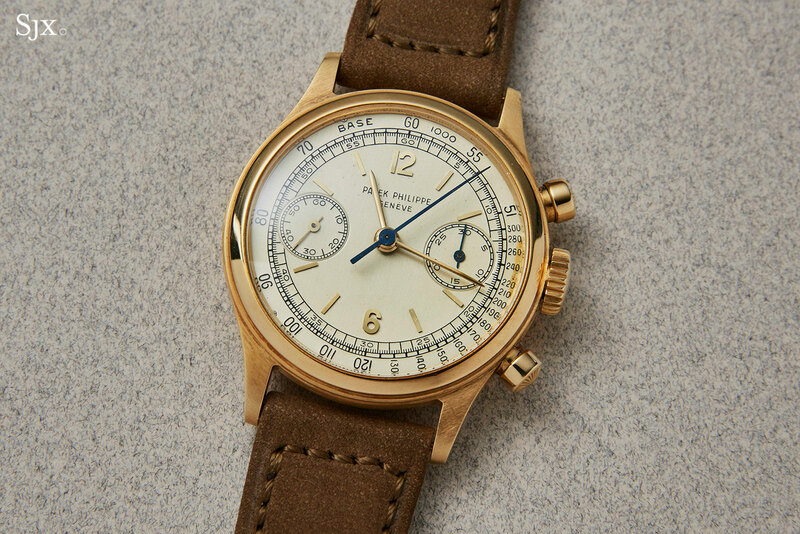 HKWA6 boasts the highest proportion of vintage watches for a Hong Kong sale – almost half the catalogue is comprised of vintage timepieces – in more than a decade. 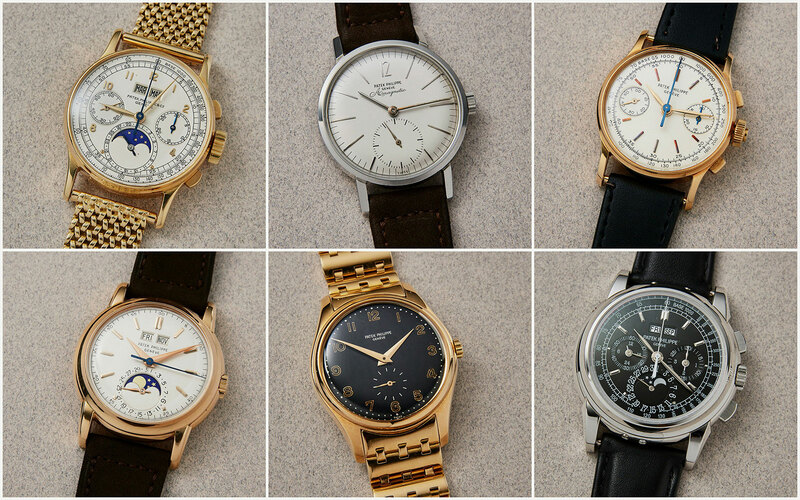 More notably, the selection goes beyond the usual Patek Philippe, but also encompasses accessible and esoteric picks from the likes of Movado, Mathey-Tissot and Gubelin. 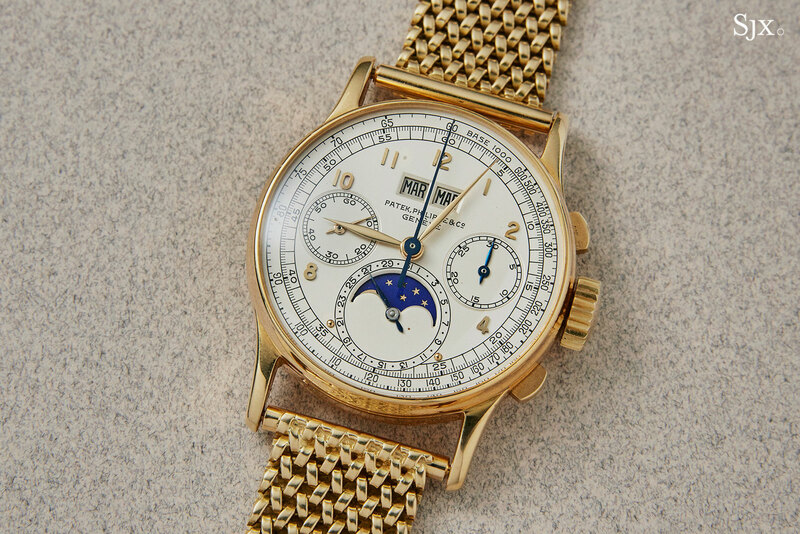 We start our auction coverage with highlights from the most significant marque: Patek Philippe. Stay tuned for the more affordable picks later this week. You’ll find the full catalogue and online bidding here. 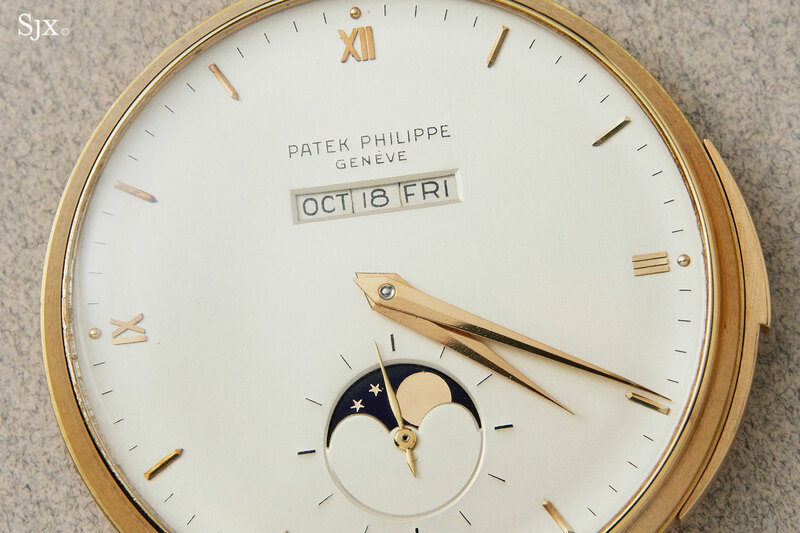 Ordinarily fitted with an ivory enamel dial and already notably sought after, the Patek Philippe ref. 2526 occasionally turns up in different guises. This example is especially striking, because the dial is glossy black lacquer with large Arabic numerals in gilt print. The archive extract confirms the black dial and Arabic numerals, and also reveals the watch was made in 1953 and sold a year later. 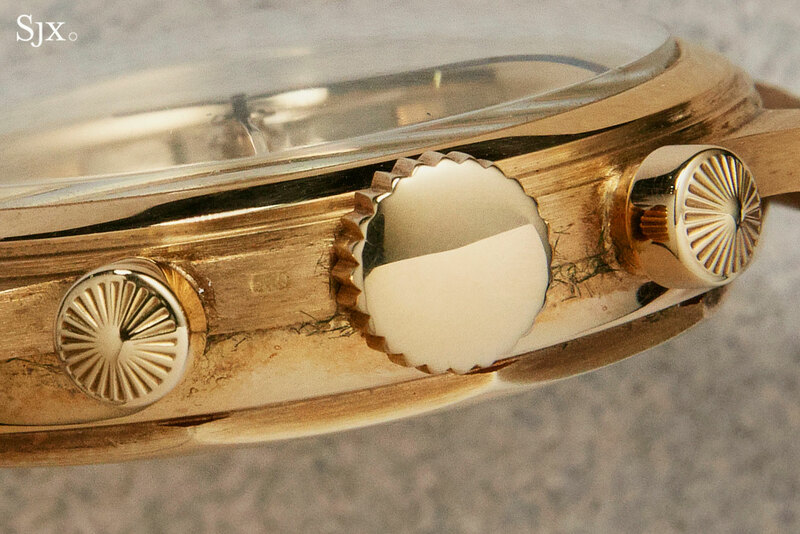 Another unusual feature is the 18k yellow gold Patek Philippe bracelet that accompanies the watch. Although it’s not noted in the archive extract, it is an original Patek Philippe bracelet and period correct. 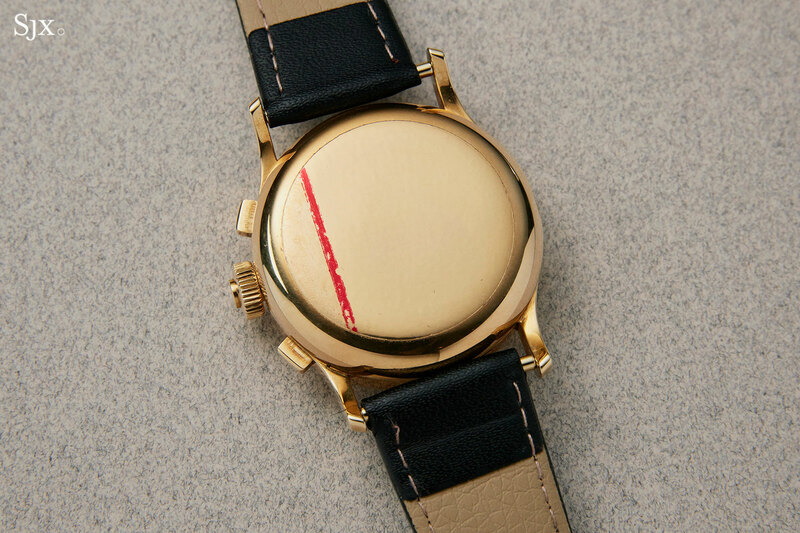 Beyond being rare, this watch is also in excellent, original condition. The dial is extremely well preserved, with slightly aging of the mirrored print of the numerals, but still a remarkably glossy black. The same can be said of the case, which retains its original form and hallmarks, and even the definition of the dodecagonal, screw-down case back. The rest of the watch is identical to a standard ref. 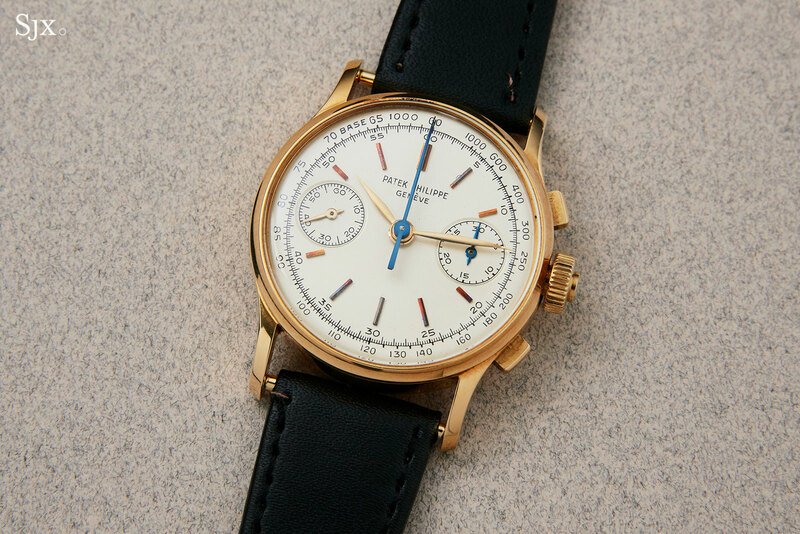 2526, with an 18k yellow gold case and its original double “P” crown. And the cal. 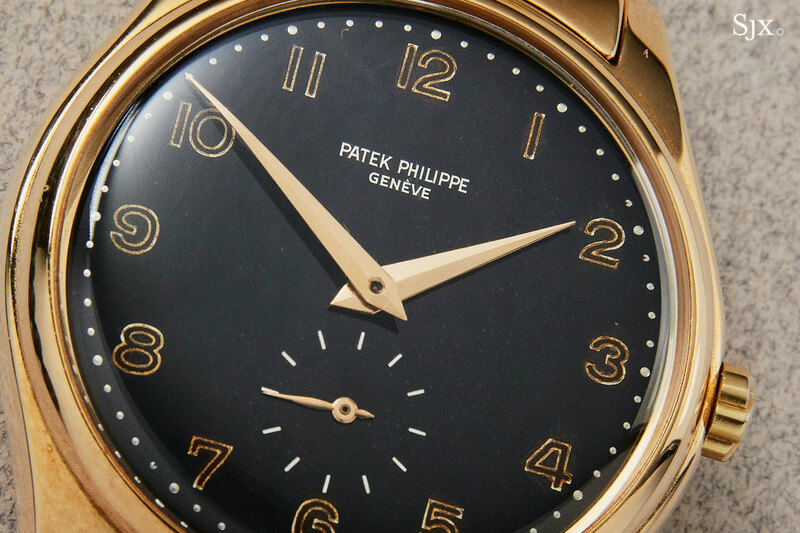 12-600 AT inside is the other distinguishing feature of the reference (besides the typical enamel dial), as the movement was Patek Philippe’s first automatic. 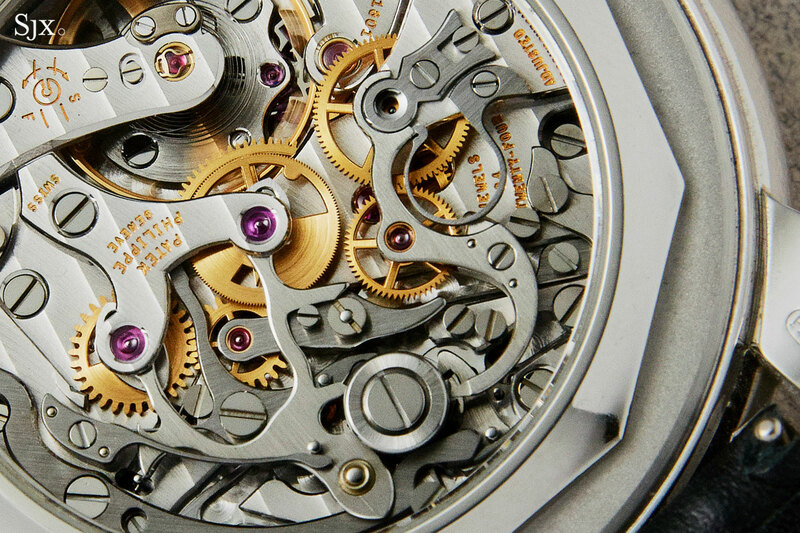 Like other early, high-end self-winding movements, the cal. 12-600 AT was exceptionally robustly constructed. No other example of such a ref. 2526 has ever been sold publicly, but this is the second instance this example has been sold, having been last sold at Christie’s. This has an estimate of HK$1.2m to HK$2.0m, or US$150,000 to US$250,000. Long the canvas for artisanal decoration, the Calatrava ref. 5089 has been presented with a diversity of dial types, from enamel to marquetry to hand-engraving. 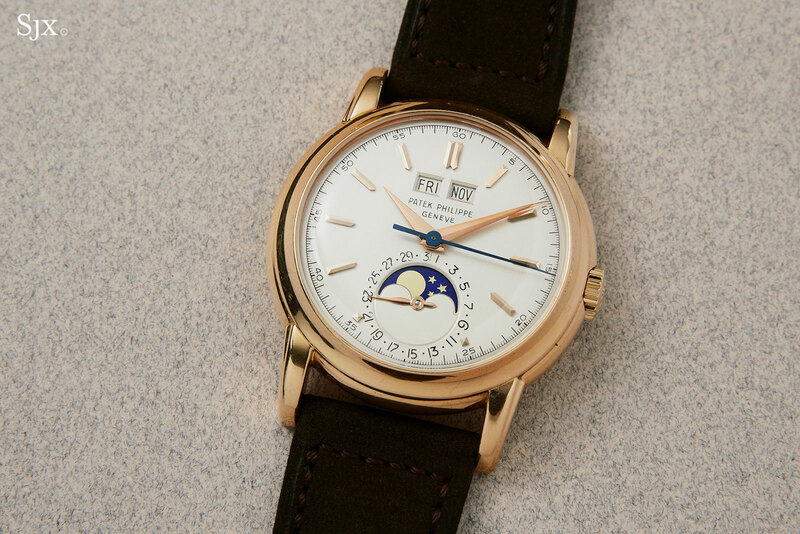 And each year Patek Philippe debuts new models as part of the Rare Handcrafts line of watches. This particular ref. 5089G-013 is special as it was part of the 175thAnniversary commemorative collection of 2014, being one watch from a set of four decorated with similar motifs. 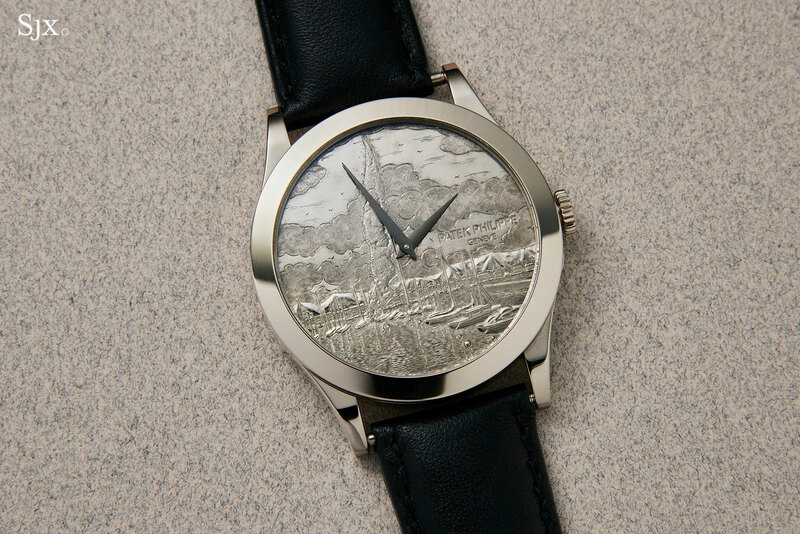 The dial is solid gold and hand-engraved with a view of Geneva, with the Jet d’Eauand docked sailboats in the foreground, and the Swiss alps behind. 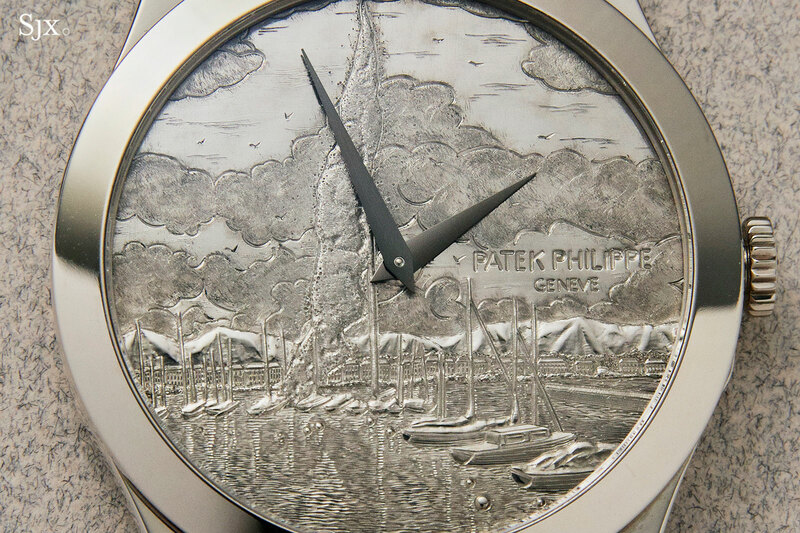 This Genevoistheme is familiar, having been repeated in varying forms on several timepieces in the past, as it is reputedly a favourite of Mr Philippe Stern, who is very much a son of the city. The ref. 5089G is complete with boxes and documents, and has an estimate of HK$480,000 to HK$720,000, or US$60,000 to US$90,000. One of several impressive and interesting complicated pocket watches in the auction, the ref. 699 combines both a minute repeater and linear perpetual calendar. 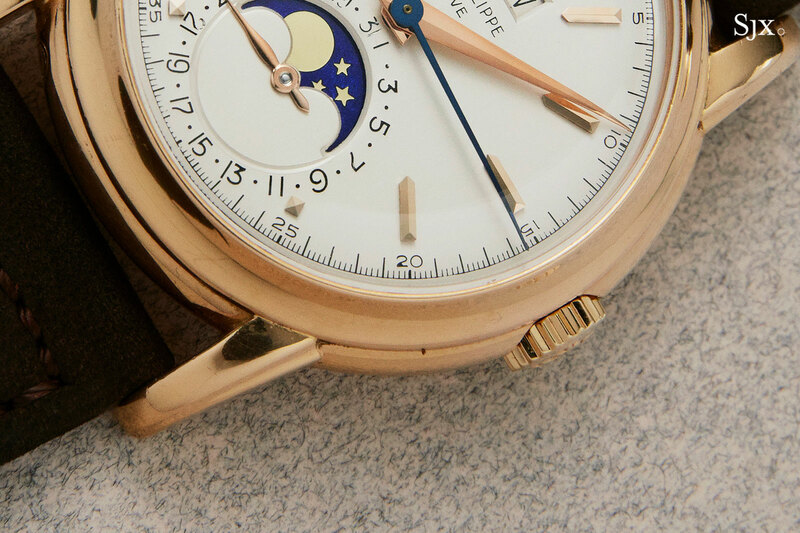 Unlike conventional calendars with sub-dials, this has the month, date and day in a single window at 12 o’clock, while the moon phase is at six. The layout is clean, legible and pleasing to the eye. 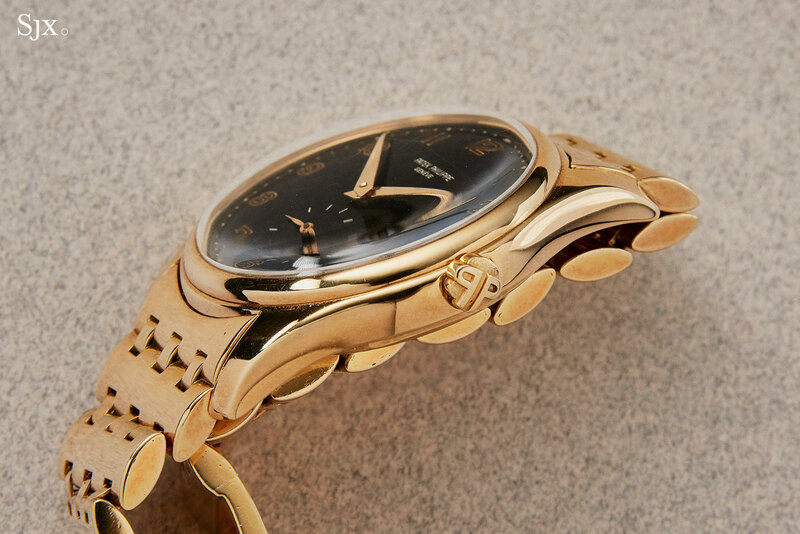 Like many other watches of the period, decades elapsed between when the movement was made and the finish watch was sold, which can be attributed to the Great Depression and the fact that such pricey, complex watches had a tiny audience. According to the archive extract, the cal. 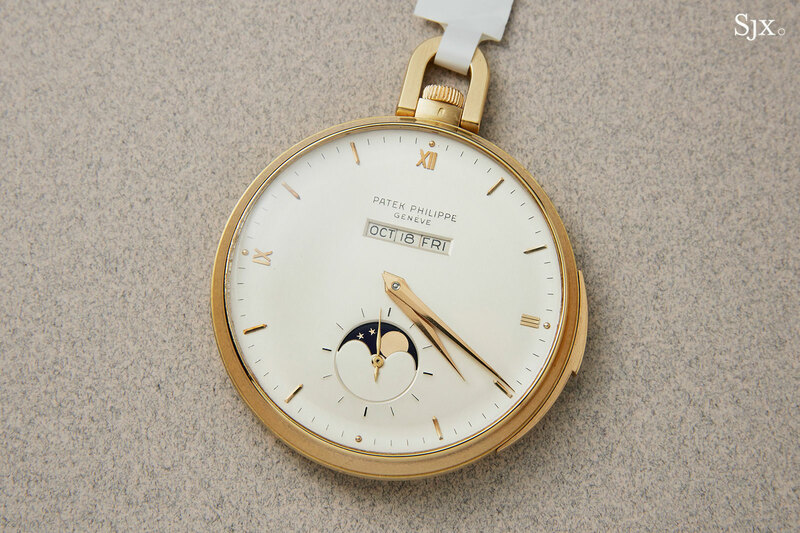 17’’’ inside was made in 1924 – explaining why it looks like an early 20thcentury pocket watch movement with its hand-engraved lettering – but cased and sold only in 1956. 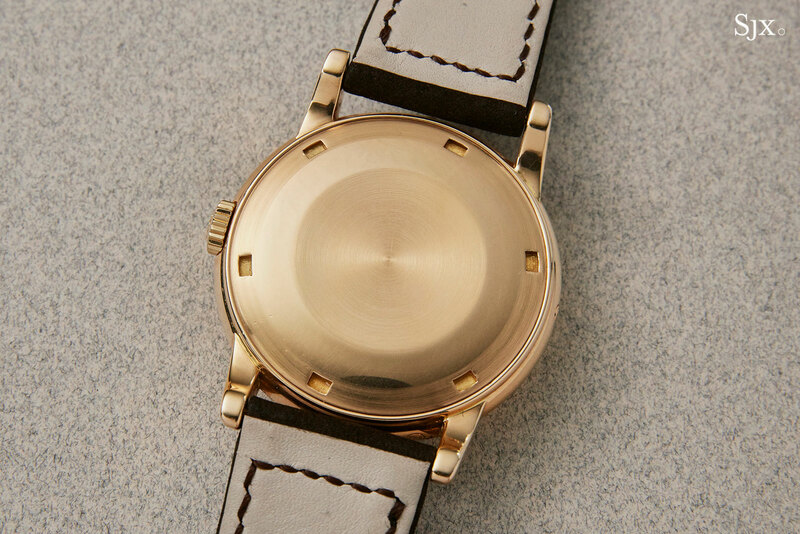 The 48mm case consequently is mid 20thcentury style, with a streamlined, geometric form. 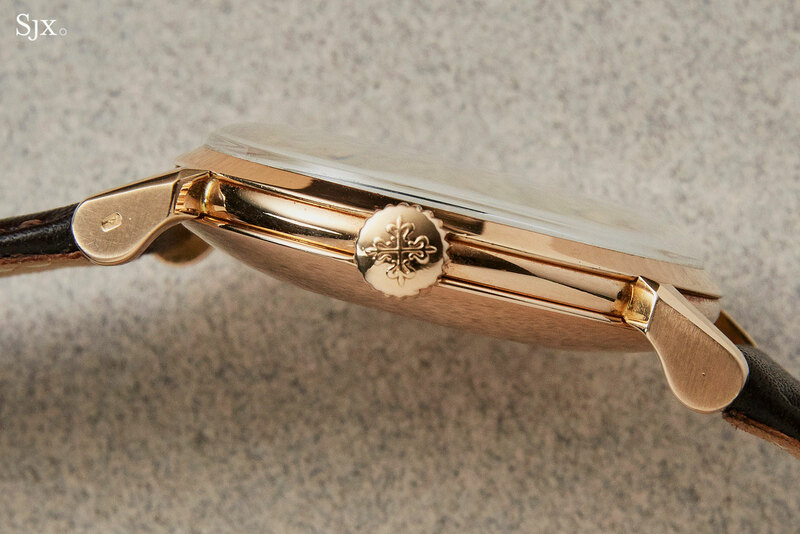 The watch is in fine condition, though there is some wear on the case, which is why the engraved monogram and date is slightly worn. As is often the case with complicated pocket watches, this offers a lot of mechanical value for a relatively small price. 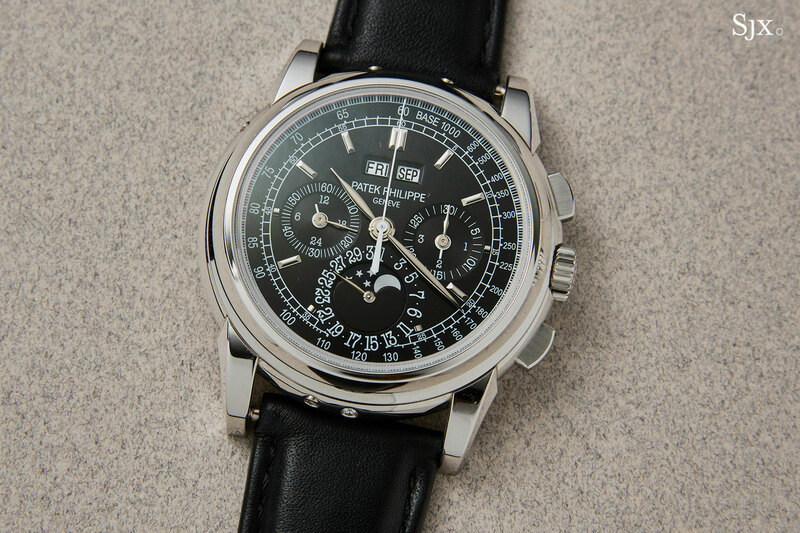 The estimate is HK$545,000 to HK$800,000, or US$68,000 to US$100,000, or about the retail price of a modern day Patek Philippe perpetual calendar wristwatch (or the secondary market price of the Nautilus chronograph in steel). The ref. 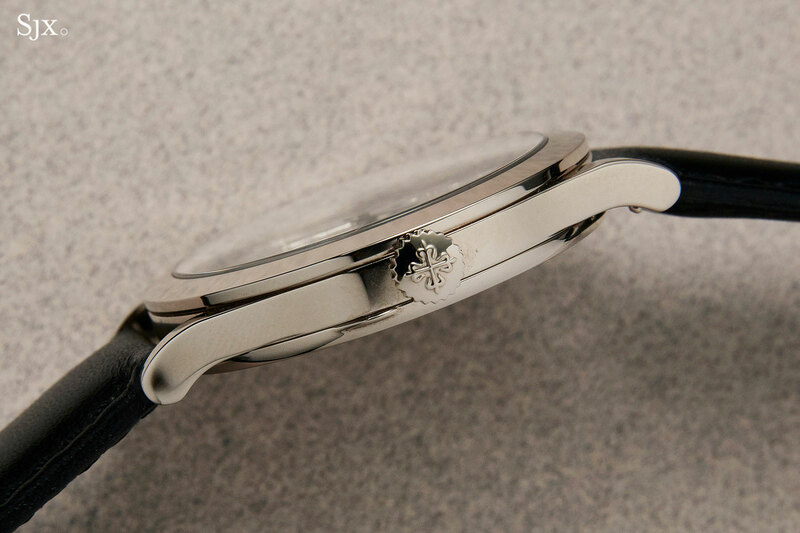 1578 is a simple watch with some notable details, most obviously the faceted “spider” lugs. 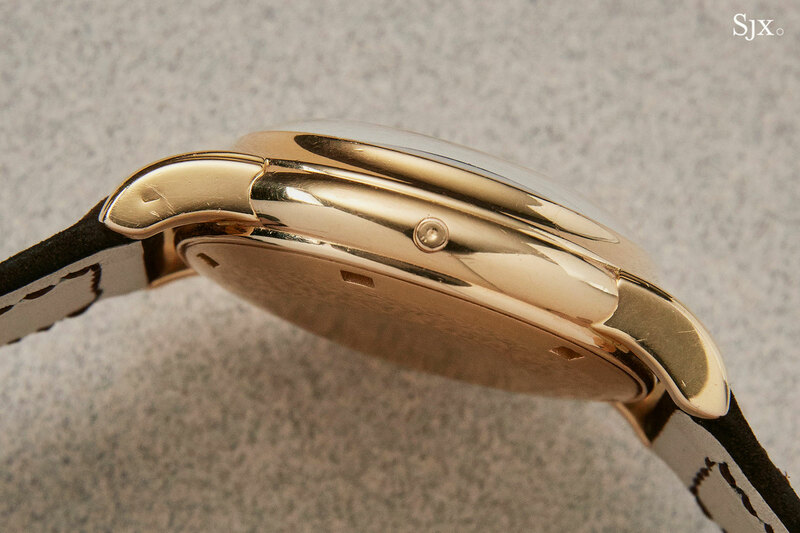 This piece is more notable for being in pink gold, and also a centre-seconds, second-generation watch with the cal. 27SC. In contrast, most ref. 1578s are in yellow gold with subsidiary seconds. 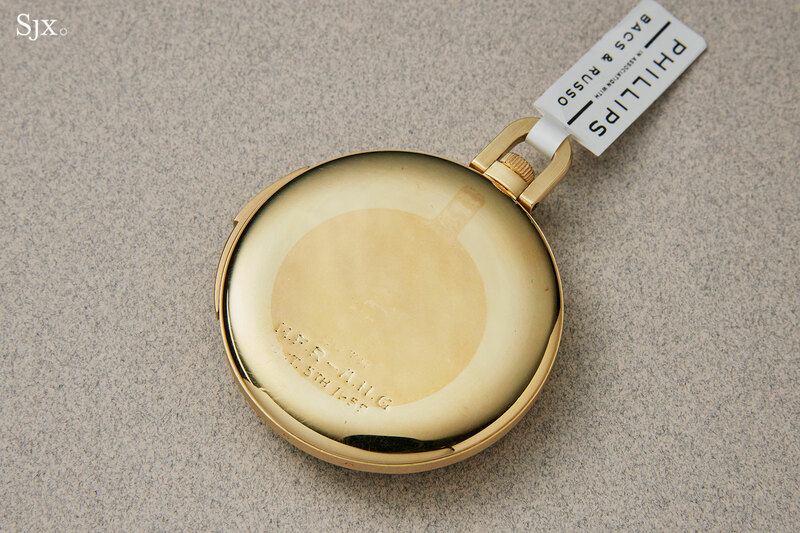 This watch was originally sold by French retailer Jean Guillermin in 1962, explaining the French hallmarks on the centre of the case back and “Fab. Suisse” on the dial, which is short for “Swiss Made” in French. Interestingly, the French connection, and the same retailer, was the case for the million-dollar, double-crown world time ref. 2523 Phillips sold last year. The ref. 1578 is also accompanied by a modern, custom-made display back. The estimate is HK$120,000 to HK$200,000, or US$15,000 to US$25,000. 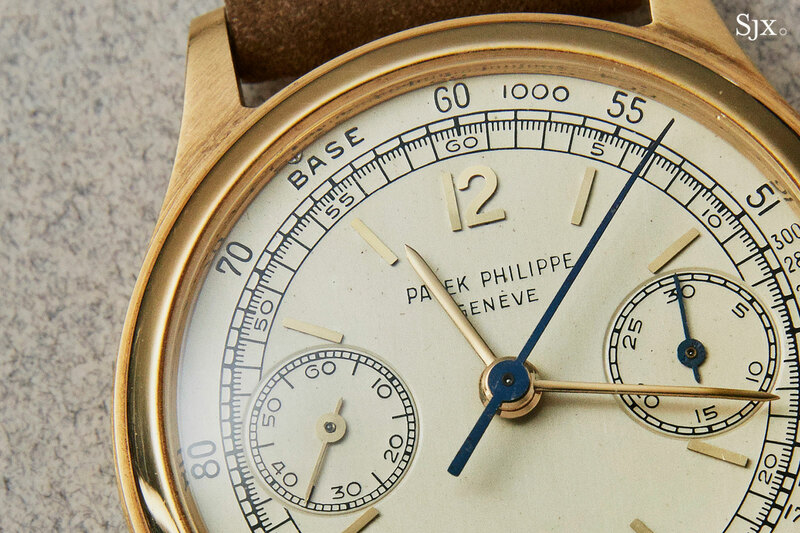 While vintage split-seconds chronograph wristwatches by Patek Philippe are a lot of money, they aren’t as much money as one would expect, which implies they might be slightly underappreciated. The ref. 1436 is a case in point, with only 135 estimated to have been produced over 33 years, from 1938 to 1971, making it less common than the popular ref. 2499. It’s a split-seconds wristwatch powered by the magnificent, Valjoux based cal. 13’’’ that has the split-seconds button co-axial with the crown, making it a monopusher rattrapante. The movement is a tangible realisation of mid 20thcentury Geneva haute horlogerie, with a little help from the Vallee de Joux for the Valjoux ebauche. 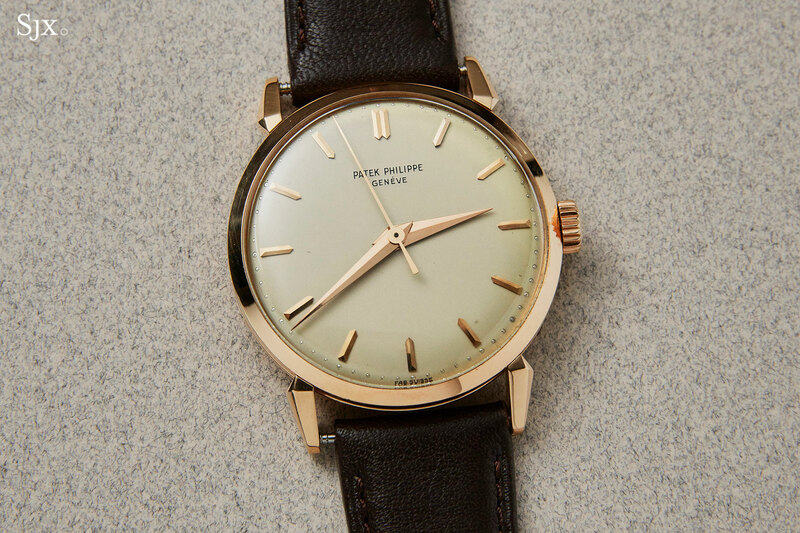 Made in 1965 and sold in 1967, this watch was one of the last ref. 1436s to be made, perhaps explaining why it is in such excellent condition. 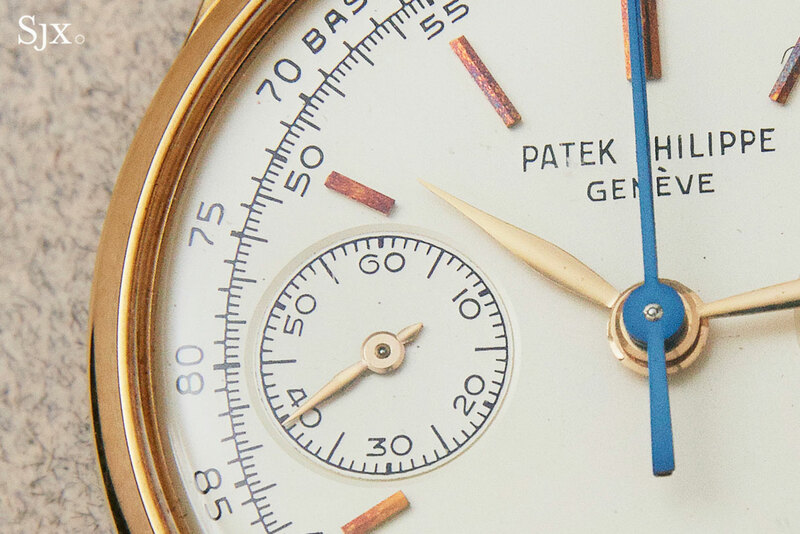 The dial is beautifully preserved, and is notable for having all of the markings – logo, tachymetre and minute track – done in champlevé enamel. 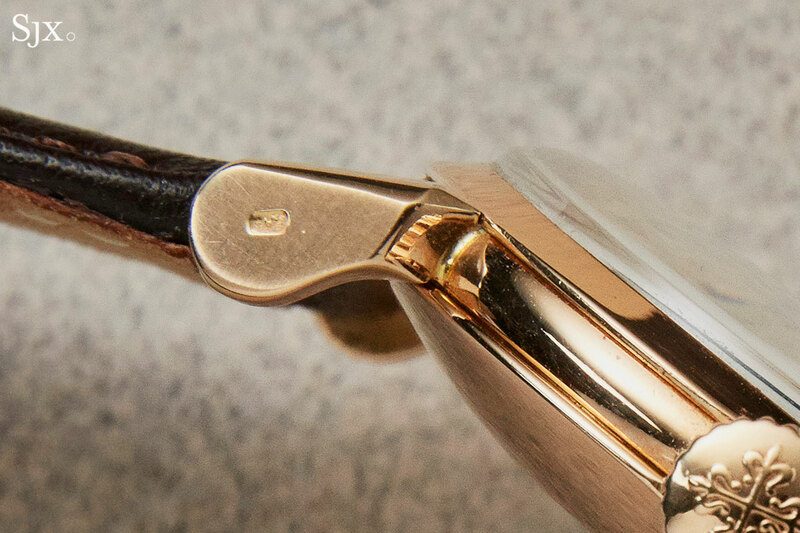 The 18k yellow gold is also in crisp condition, with all hallmarks clear and strong. 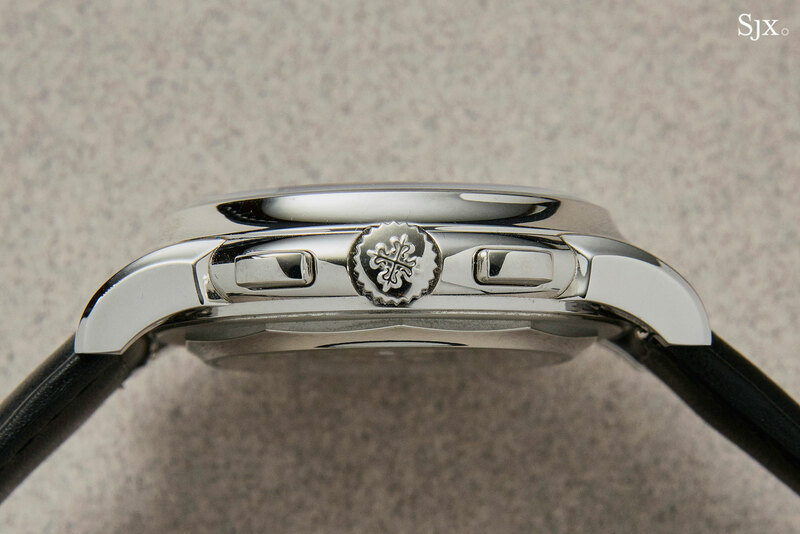 The case diameter is only 33mm, the same as the better known ref. 130 chronograph, which is probably the only reason the ref. 1436 is not a red hot reference. This has an estimate of HK$1.6m to HK$2.4m, or US$200,000 to US$300,000, which is not so far from what today’s equivalent, the ref. 5370P, retails for. 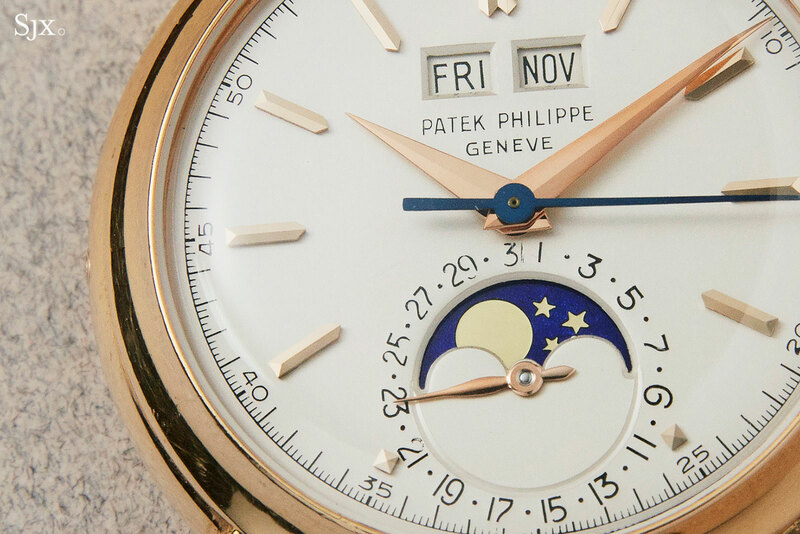 Notably for being the first water-resistant perpetual calendar wristwatch made by Patek Philippe – thanks to the screw-down case back – the ref. 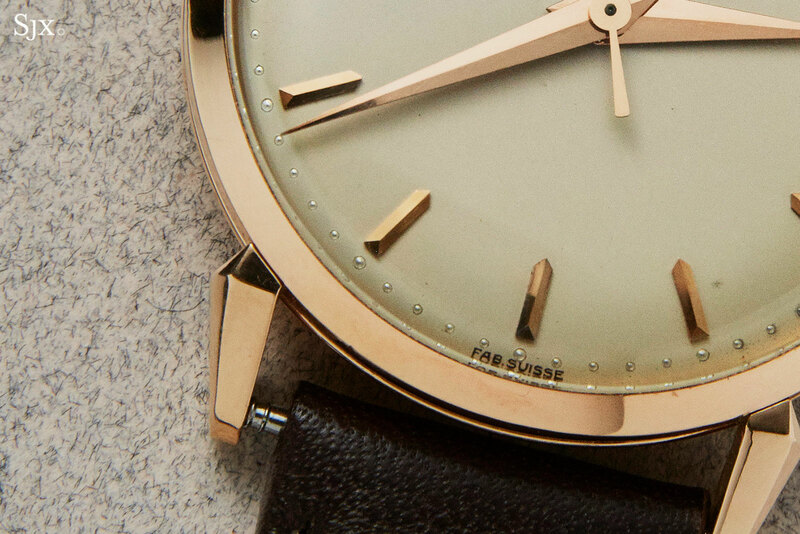 2438/1 is a remarkably rare watch, with only about 65 pieces made. This example is in pink gold, making it even more of a unicorn, becoming one of perhaps 10 in the metal. And the case is 37mm, making it a good enough size even by modern standards. 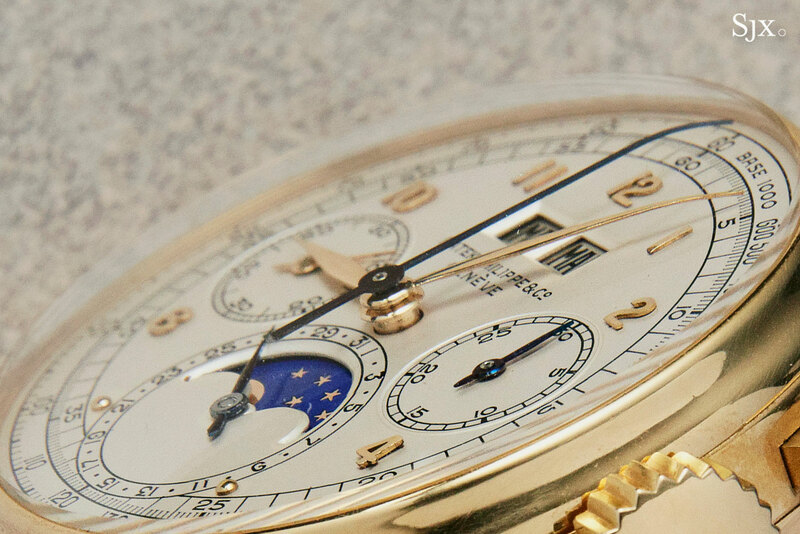 The rarity is compounded by the fact that the watch is accompanied by its original certificate and 1970 invoice from Patek Philippe’s Geneva boutique, which reveals it was sold for SFr6490, a 5% reduction from the retail price (a discount at the salon for a rare reference; what days those must have been). The watch itself is in excellent condition, with some minor loss to the markings on the dial, perhaps due to an overzealous cleaning. 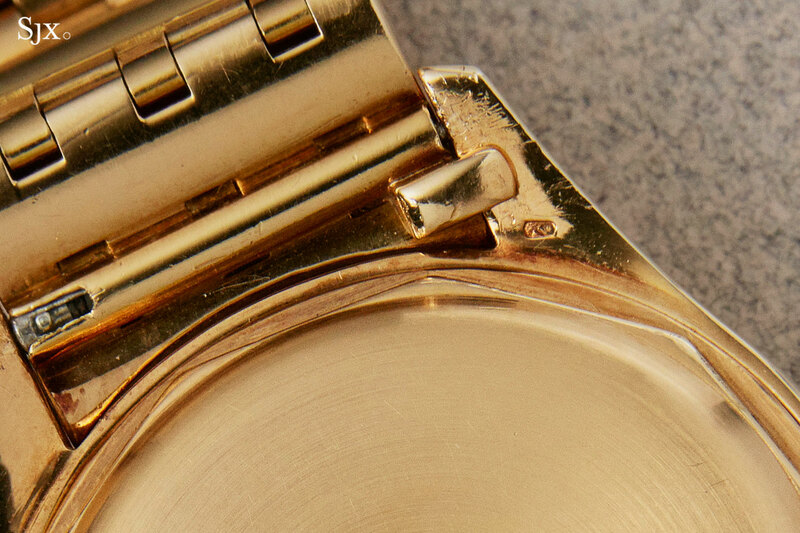 The case has seen modest polishing, leaving the hallmarks soft but visible, but still retains its original shape, including the elegant, concave fluting down the length of the lugs. This very watch was sold at Christie’s in 2009 before for just over US$700,000, and will probably go for a large sum again. The estimate is HK$3.5m to HK$7.0m, or US$450,000 to US$900,000. The ref. 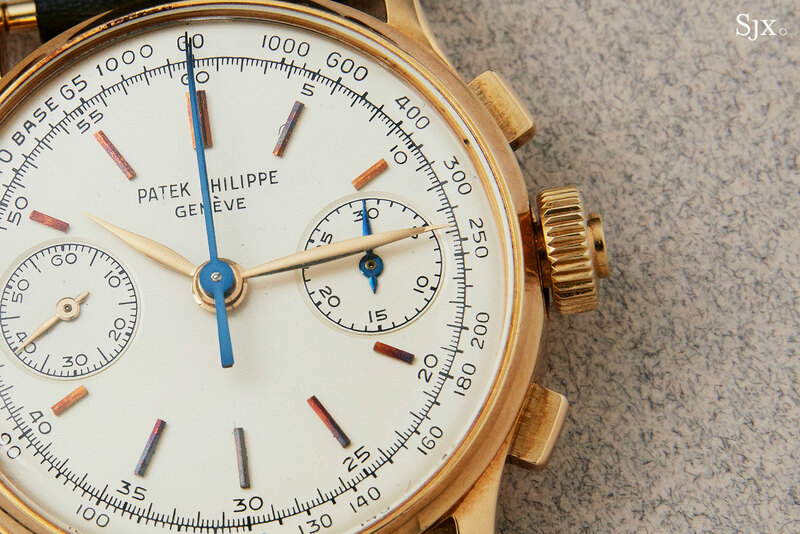 1463 was Patek Philippe’s first water-resistant chronograph with a screw-down case back, and it is also 35mm in diameter, largish for the era. That makes it a desirable and important reference, with collectability further helped by the fact that a good number were made, with about 400 leaving the factory over 30 or so years. Consequently, the ref. 1463 can be had in a variety of guises and price tags. This specimen is solid example of the ref. 1463. 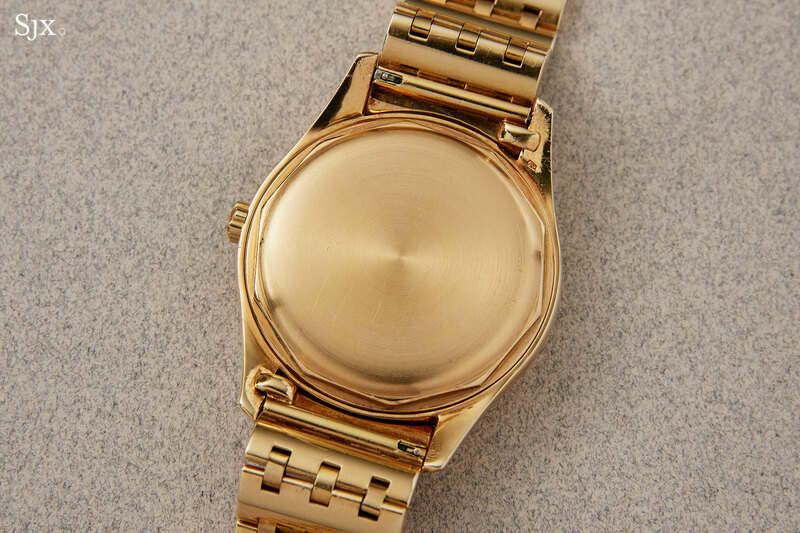 It has a yellow gold case and a common dial type that has Arabics at six and 12 o’clock, along with a tachymetric scale. 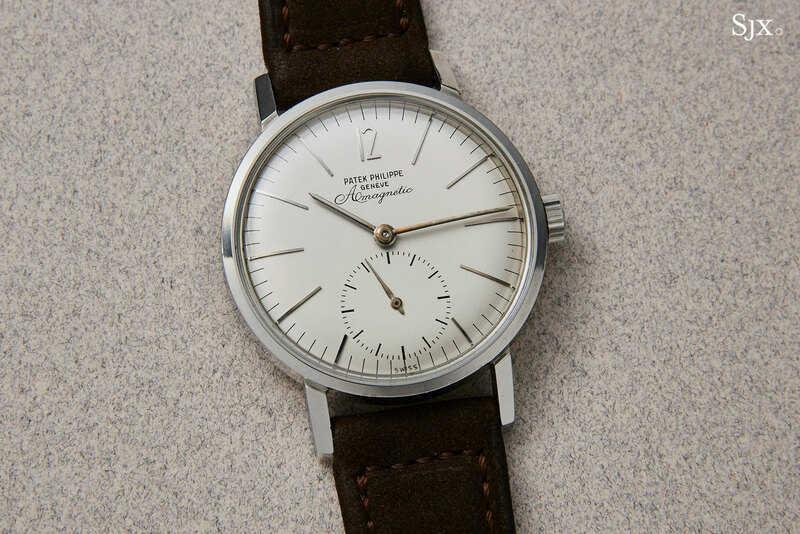 While not the rarest version, it is in exemplary condition, with the case maintaining its original form and sharp lines, including the step on the bezel. Both the pushers and crown are also original. The dial also retains its raised, champlevé enamelled markings, and while showing discolouration at three o’clock, remains appealing and original. The estimate is HK$800,000 to HK$1.6m, or US$100,000 to US$200,000, which is about as low as good examples of the reference go. Equipped with a soft iron inner cage to shield the cal. 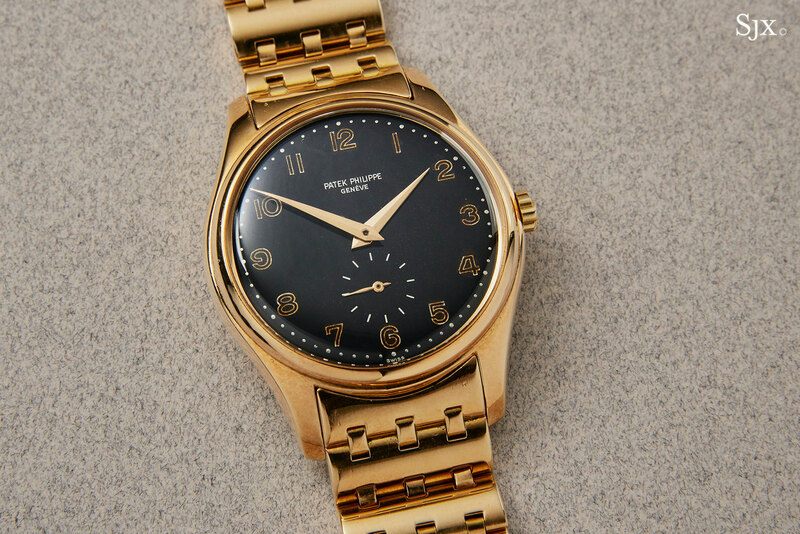 12’’’400 from magnetism, the Patek Philippe Amagnetic was produced in several variants. 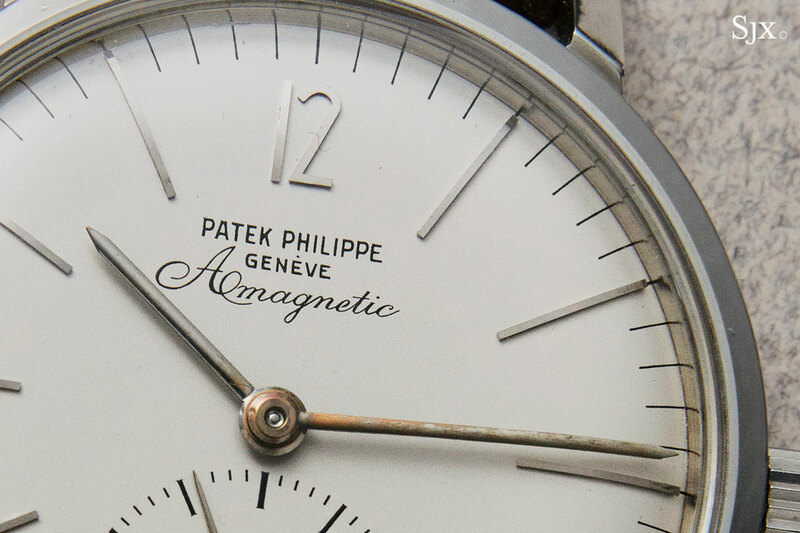 But it is the Amagnetic in steel, particularly with the italic logo on the dial, has become a tremendously desirable watch in recent years, perhaps because of the “tool watch” connotations combined with Calatrava-esque looks. This specimen is a good example of the reference, being in excellent overall condition. 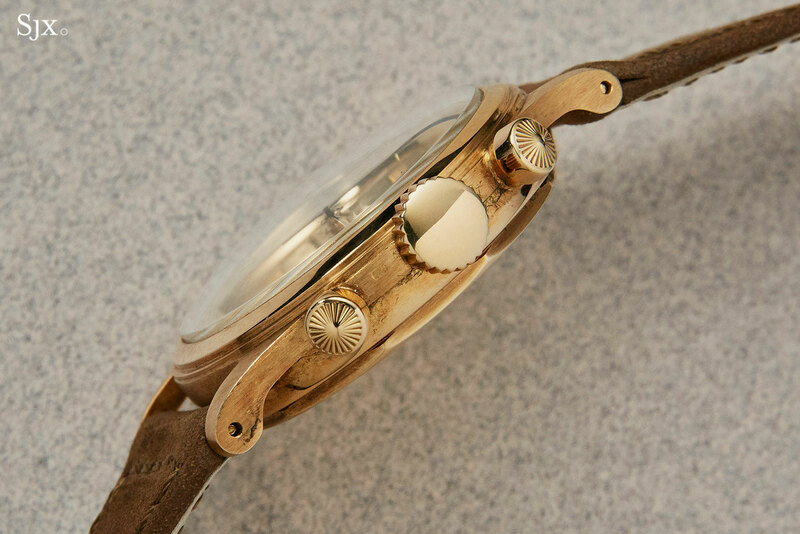 The dial is original and well preserved, with only minor aging on its surface and on the hands. 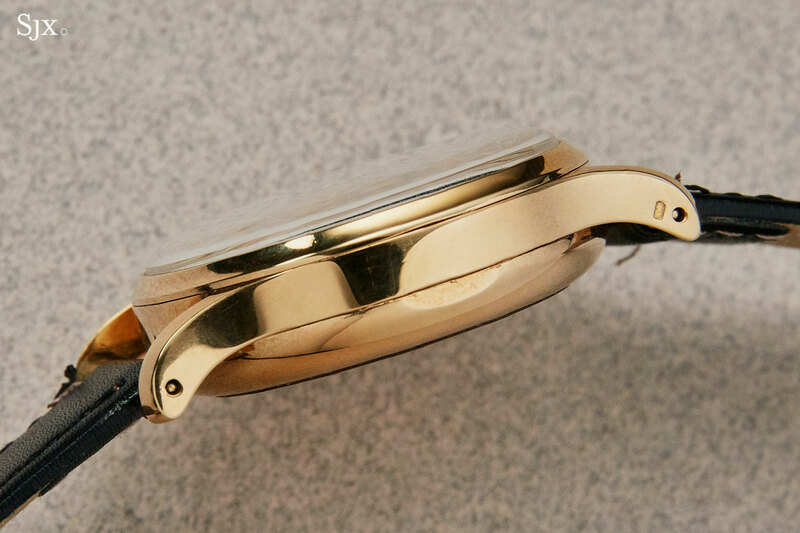 Similarly, the case is in excellent shape – the hardness of steel means it holds up better than gold – and it has a service replacement crown. The estimate is modest as such things go: HK$240,000 to HK$400,000, or US$30,000 to US$50,000. The ref. 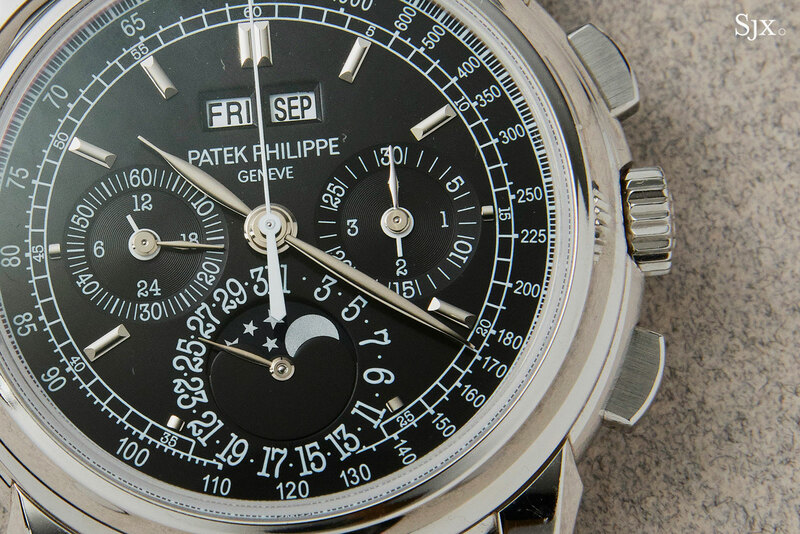 1518 was Patek Philippe’s first serially produced chronograph with perpetual calendar, and is thus a sought after and important reference. This example of the ref. 1518 is a relatively common yellow gold version, but it is distinguished by the incredible compilation of original documents that accompany it. 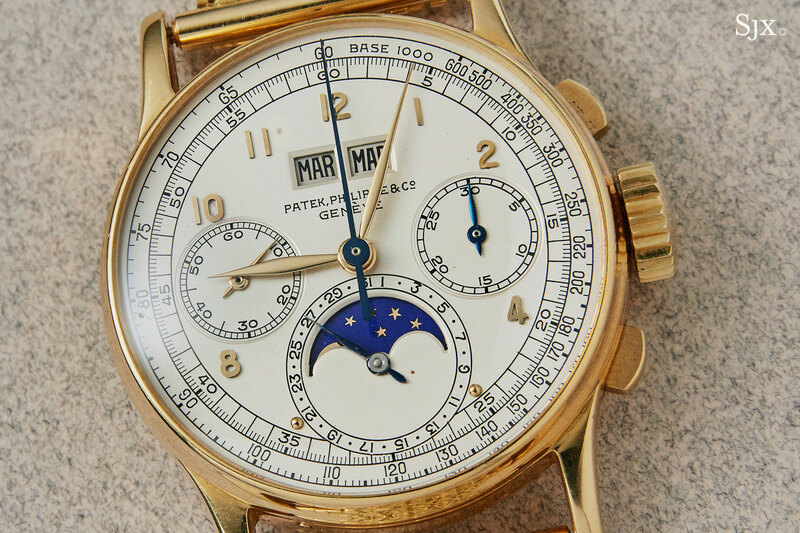 Consigned by the family of the original owner, the watch has its original certificate, two instruction leaflets, a Patek Philippe catalogue and price list from 1946, as well as Patek Philippe service papers from the 1980s. And it also includes three archive extracts, from 1990, 2008 and 2018, which note the watch was made in 1945 and sold a year later. 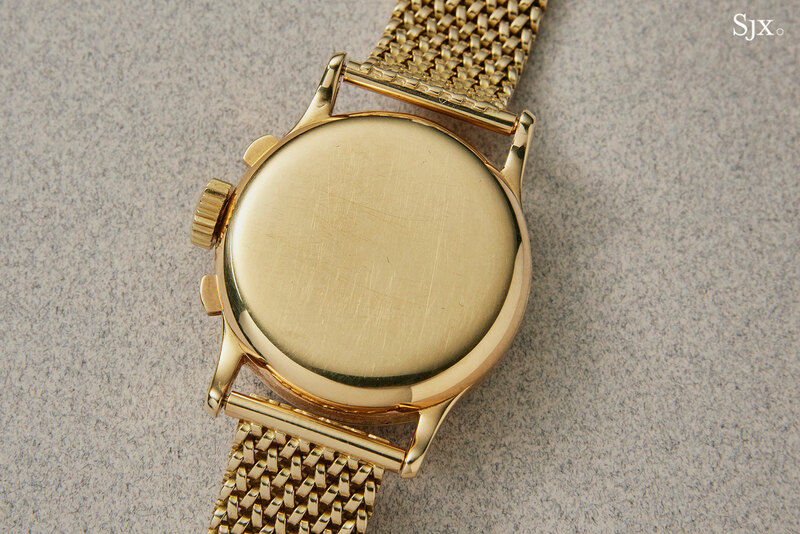 The watch is also fitted to a vintage Patek Philippe mesh bracelet in 18k yellow gold. 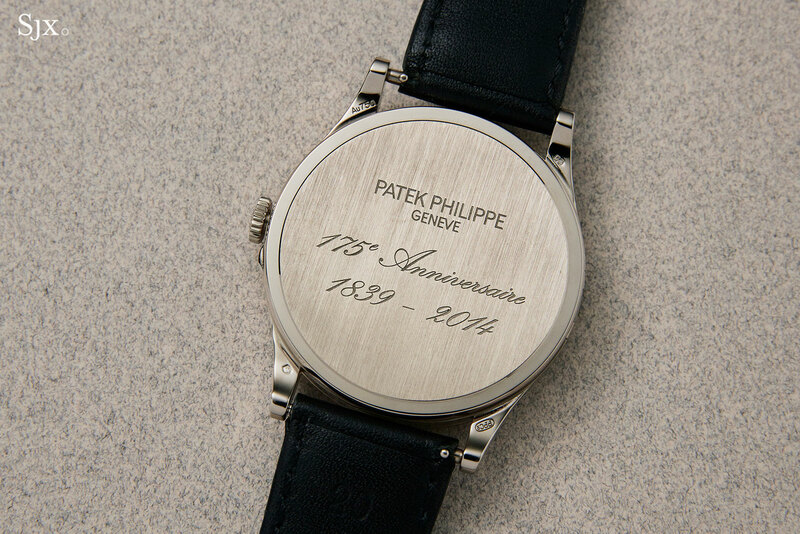 Because it was serviced by Patek Philippe, the watch is in clean condition. 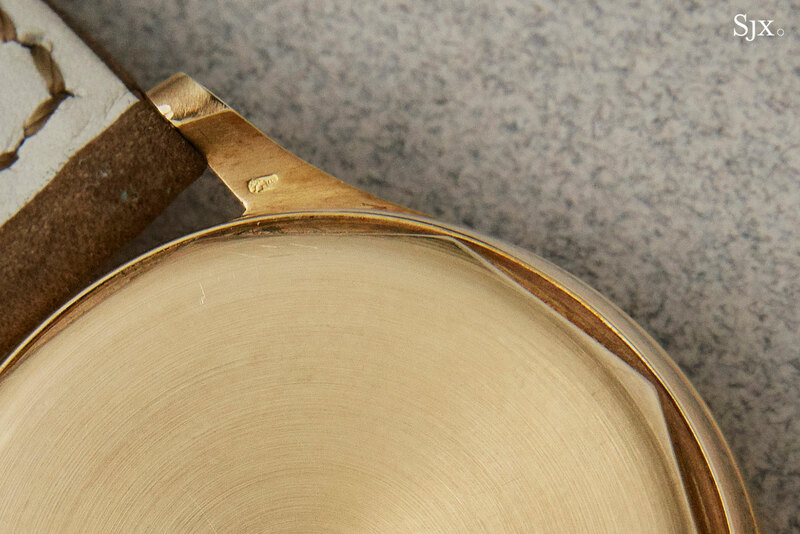 The dial has been cleaned, while the case has been polished, leaving the hallmarks slightly worn. The watch is estimated at HK$2.5m to HK$5.0m, or US$320,000 to US$650,000. Three generations on from the ref. 1518 was the ref. 5970 that was introduced in 2004 and discontinued in 2011. The ref. 5970 a crowd favourite in contemporary Patek Philippe watches, being a large 40mm in diameter yet boasting classical proportions and design. In fact, it is reminiscent of the vintage ref. 2499. And the fact that it was one of the last references to feature the Lemania based CH 27 movement no doubt helps. This example is the platinum version of the ref. 5970, the only variant of the reference with a dark dial, which gives it a striking, modern look. 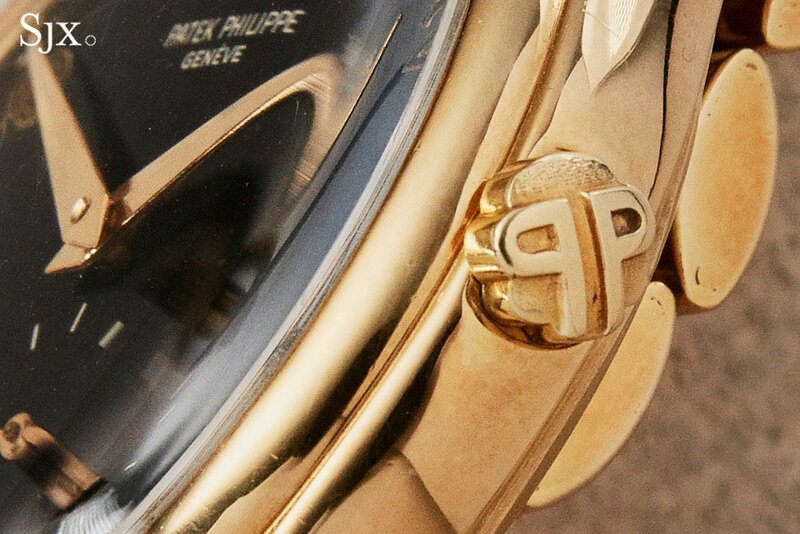 The platinum model is also likely to have been produced in small numbers, exceeded in rarity only by the yellow gold version (which is less sought after perhaps due to the colour). It’s complete with boxes and papers, and is being sold by the original owner, who bought the watch in 2010. The estimate is HK$800,000 to HK$1.6m, or US$100,000 to US$200,000. Correction May 24, 2018: The ref. 2526 was sold previously at Christie’s. There’s no example in a collection, as previously stated.